- The Horn of Gabriel is a big, curled horn that’s roughly 150cm in length. To blow in one end would let out a tremendous boom of sound to announce the presence of the Angel of Revelation… supposedly. In reality, the Horn is too complicated for its own good, and something’s lodged deep within it, completely distorting it. Instead of a great boom of reverence and importance, it lets out a very loud, very prolonged and very weird squeak. It’s actually so bad, it can cause discomfort akin to scratching nails on a blackboard. Infuriating and annoying, but not really lethal, and worse, completely ruining any grand image or importance Gabriel means to have. - With the activation of the symbol on his back, the usually skin-colour marks light with a great golden fire, and Gabriel summons a 100 strong force of Cherubim to him, near-enough instantly. However, summoning is not controlling; the moment they arrive, they usually fly away, having been busy doing something else and not wanting to be interrupted, thank you very much. Gabriel often thinks that this time he can definitely definitely definitely control them, but usually it's more a nuisance to everyone around him than an actual threat, unless someone attacks the cherubim themselves. - If there's one weapon in Gabriel's arsenal that's actually useful, it's his own body. Specifically, the fire around him. While it can only cause discomfort to Gabriel, to anyone else it feels very real. 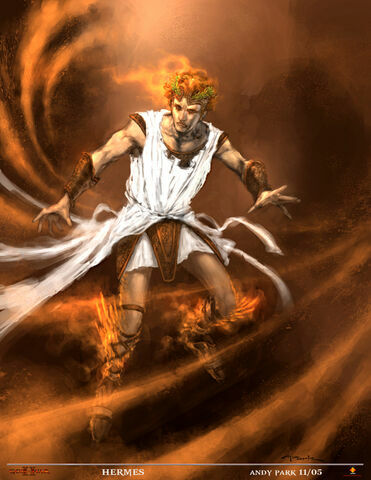 It's also more like a side effect of his other powers than anything; if he flies or uses Cherubuna or, then he can simply grab onto his opponent and let his fire to the work. Of course, this highly useful power is the one he makes the least use of simply because he gets uncomfortable when using it, and gets clammy and hot under the collar in just a few seconds. Archive date is August 29th, but you can have that extended for as long as you need it given the circumstances. Might need an extension, I'm afraid. Gabriel speaks Angelic (lightblue), Latin (purple), English (red), French (blue), German (darkorange), Arabic (darkgreen), Hebrew (grey), Turkish (yellow), Yiddish (beige) and [color=green]Welsh[/green] (green). Archive date is September 17th - extended due to special circumstances and hiatus.